Two months ago, news broke out that Mayor Geefre Alonsabe of Alimodian, Iloílo Province was planning to desecrate their centuries-old town plaza by constructing a ₱4.6-million multipurpose building which will take up about ¼ of the area. This, of course, didn’t sit well with the townsfolk, heritage advocates, and even concerned netizens, not to mention that the planned structure is a violation of Republic Act No. 10066, otherwise known as the National Cultural Heritage Act of 2009. But the mayor was stubborn, claiming that the plaza is not even half a century old, and that majority of Alimodianons are backing him up on the planned building. How Mayor Alonsabe’s multipurpose building would have eaten up considerable space of his town’s plaza had its construction pushed through (image: Raymond Deza). Copy of NCHP letter furnished by Nereo Cajilig Luján, chief of Iloílo Provincial Government’s Public Information and Community Affairs Office. The NHCP decision, signed by its chairman, Dr. René Escalante, proved to be a major blow to the mayor and this project’s contractors, but it is a huge victory nonetheless for Alimodian’s heritage and history. It is even a much bigger victory for our country’s struggle in conserving its built heritage considering the alarming fact that we have been losing several heritage structures to both greedy and apathetic people through the years: the Manila Jai Alai Building in Ermita, the Alberto Mansion in Biñán, the Michel Apartments in Malate, and the list just goes on and on. I haven’t even mentioned the countless ancestral houses or bahay na bató all over the country that have been lost to wear and tear and total neglect. And even as I write this, several more heritage structures such as El Hogar Filipino in Binondo, the Puente de Barit in Laoag, and Life Theater in Quiapò just to name a few are in grave danger of disappearing to give way to “progress”. And while some structures were saved from the wrecking ball, others were not as fortunate as they still suffered the shame of defacement (remember the sorry state of the Church of Calumpit when it was turned into a “wedding cake”?). And whatever happened to the people behind the demolition and/or defacement of our few remaining historic structures? They remain free from the penalties of R.A. 10066. That could be one major reason as to why the said law is still being flagrantly violated. That is why this recent move from the NHCP is a cause for celebration as this could be the impetus that tired heritage advocates have been waiting for. At last, R.A. 10066 is now showing some teeth! Protecting a town plaza, no matter how cumbersome looking it may be to the general populace, is not a derisory activity. Same thing goes to protesting the planned demolition of a rickety looking bridge over a polluted river, or an old toppled-down jailhouse in the midst of a slum. Remember: built heritage is another facet of our national identity. It tells a locality’s story. These cultural treasures are remnants of a once glorious past that even today’s progress could never equal. Iloílo City— Mayor Geefre Alonsabe of Alimodian town challenged members of the National Historical Commission of the Philippines (NHCP) to reconsider their decision questioning the municipal government’s decision to build a multi-purpose project in the town plaza because the site is a heritage property. “I challenge them. They should come and check,” Alonsabe said. The NHCP earlier advised the municipal government of Alimodian to find a different site for the multi-purpose building and not build it inside the town’s plaza, which has been declared as an Important Cultural Property (ICP). The commission’s decision came after a group wrote to NHCP chairman René Escalante that the project site is within the town plaza, which they consider to be part of their heritage. Due to the complaint, the Department of Public Works and Highways (DPWH)-Iloilo 4th District Engineering Office) temporarily halted the project to coordinate with NHCP and other agencies. Despite being told to find another local, Alonsabe is firm that majority of Alimodian residents want the multi-purpose hall to be constructed within the plaza. He also reiterated the General Welfare clause of the Local Government Code. “We need a covered court for our activities. This will benefit our people,” Alonsabe said. Alimodian official are not fully aware of how the plaza is an ICP. “On behalf of the LGU, we do not have papers declaring the plaza as heritage property,” Alonsabe said. Alonsabe added that the marker of the then National Historical Institute (NHI) does not indicate the ICP status. Alonsabe also reiterated that the current plaza is not 50 years old. Mayor Alonsabe wants to construct a multi-purpose hall right within the town plaza. If he does that, the town plaza will be transformed beyond recognition. There might not even be a town plaza anymore. Thankfully, the NHCP is blocking the project because the plaza is a heritage property. But the mayor insists that it isn’t, even saying that the plaza is not yet 50 years old! To students of history, it is common knowledge that all Spanish-era towns (then called poblaciones) include plazas. Whenever a parish church was built during that era, it was almost unthinkable not to construct a plaza right in front of it. Alimodian was founded in 1784 with only 1,602 houses. Its church, dedicated to Santo Tomás de Villanueva, was under the diocese of Cebú. Aside from the church, the town already had a convent, a public cemetery, a court (of justice), and even a jailhouse. In short, it was already a completely functioning town. Could you just imagine a completely functioning town during those days without a plaza? It’s pure tomfoolery on the part of Mayor Alonsabe to say that the plaza is not even 50 years old in order to justify his dimwitted plan of setting up his multi-purpose grotesquerie within a heritage site. But then again, he might make another excuse saying that he doesn’t know Spanish, that’s why he’s ignorant of his own town’s history. What a shame. Because of the Spanish language, my 14-year-old son and I now know more about Alimodian’s history compared to its own mayor. And since we now know its historical background, we have come to appreciate it as well. And to think that we haven’t even been to that beautiful historic town of his that he wishes to desecrate in the name of… what?… contracts? For many years, including the time when Filipinas was still under Mother Spain, Filipinos have been taught that the first Mass in our country happened in Limasaua, Leyte (now Limasawa, Southern Leyte). As a backgrounder: Portuguese explorer Fernando de Magallanes (popularly known by his Anglicized name Ferdinand Magellan) ordered a Mass to be celebrated on the small island of Limasawa on 31 March 1521. It was officiated by Fr. Pedro de Valderrama, OSA, the only priest of the Magallanes expedition. This event marked the birth of Christianity in Filipinas. 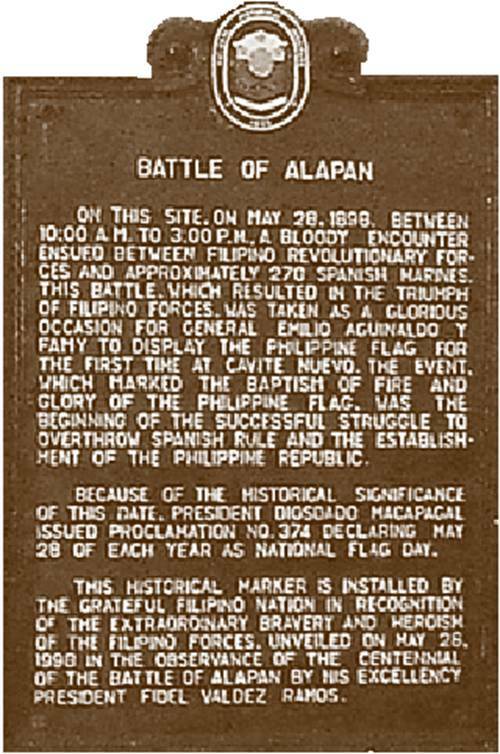 However, just a few years ago, a group of people started to contest this widely accepted historical record, saying that the first Mass really occurred in Butúan, Agusan (del Norte). Vicente Calibo de Jesús, a media and communications practitioner, is one of the most vocal proponents of the cause to recognize Butúan as the site of our country’s first Mass. He has launched numerous petitions online to have his claim recognized. On his Facebook account, he has cited documents and even geomorphological arguments to back up his claim. Sometime during the last decade, when the country’s foremost historian Ambeth Ocampo was still in charge over the National Historical Commission of the Philippines (then known as the National Historical Institute), a committee headed by economist and historian Benito Legarda, Jr. was organized to re-examine the matter. However, in one public forum, Calibo de Jesús failed to attend. “Since Mr. De Jesús refused to participate in the forum, why does he now contest the outcome?” Ocampo said. After much deliberation, the NHCP/NHI then issued a resolution on 15 June 2009 affirming that the first Mass was indeed celebrated in Limasawa, Southern Leyte on 31 March 1521. Ocampo retired from public service two years later but continued publishing history books and articles as well as giving popular lectures. The local Catholic Church quietly accepted the findings. Calibo de Jesús, on the other hand, continued his online attacks. But the controversy was almost forgotten. Fast forward to last week, on the 5th of August. Jun P. Alvizo, a proponent of the Filipinas Quincentenario project, posted on his Facebook account digitized photos (see below) that were taken from the pages of the Anales Eclesiásticos de Philipinas, 1574-1602, asserting that Calibo de Jesús could be right after all. Butúan’s assertion as the true site of the first Mass in the Philippines is not a fabricated claim or one without a substantive evidence. The truth on this episode, of the first circumnavigation of the world, has long been muddled by many historians when Limasawa in Leyte was proclaimed as the real site of the first Mass in our islands that was officiated by Father Pedro de Valderrama on 31 March 1521 (an Easter Sunday). 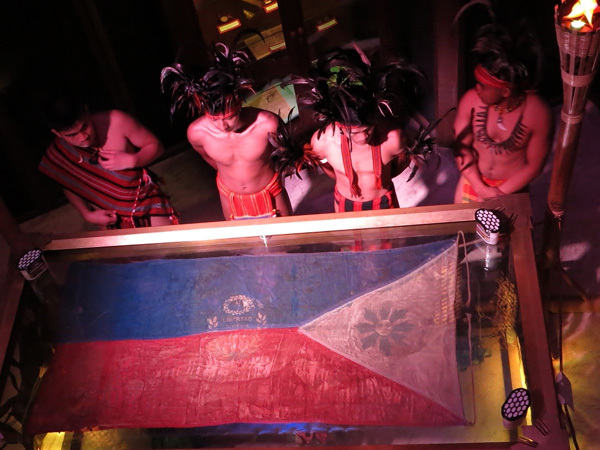 Adding dubiety, the many investigations on this matter, conducted by panels constituted by the National HIstorical Commission of the Philippines (NHCP), resolved in favor of Limasawa, obliterating the very truth where the first Mass in the Philippines was really celebrated. According to Alviza, these documents were obtained by the Filipinas Quincentenario from the Archives of the Archdiocese of Manila, and that even the late Jaime Cardinal Sin was knowledgeable about them. Aside from these new findings, there were, in fact, old books dating back to the Spanish times that either questioned or contradicted the already accepted location of the first Mass in Filipinas. These are the “Episodios Históricos de Filipinas” by Felipe María de Govantes (Manila: Imprenta de Valdezco, 1881, pp. 21-22) and the “Boletín de la Real Sociedad Geográfica” (Madrid: Real Sociedad Geográfica, 1897, vol. 39, pp. 135-136) to name a few. There was even one book, the “Historia de Mindanao y Joló” (Madrid: Viuda de M. Minuesa de los Ríos, 1897, pp. 661), in which the author, Francisco Combés, specifically mentioned that it was precisely in Butúan and in no other place where the first Mass in Filipinas was celebrated. Allí fué precisamente, y no en otro punto, donde se celebró la primera misa, dicha en tierra, del Archipiélago Filipino. It is unclear, though, as to how Combés et al. were cognizant of the exact site since all their books were published three centuries after the event. However, there could be one clincher: Antonio Pigafetta himself, the lone Italian chronicler of the Magallanes expedition who was also witness to the first Mass. In his account of the expedition titled “Relazione del primo viaggio intorno al mondo” (Report on the First Voyage Around the World) published in 1536, Pigafetta actually mentioned Butúan four times. The account of the Mass is found in chapter two of his book. Be that as it may, with the discovery of these old church records, could those “iconoclasts” have finally won their fight for historical accuracy, that the first Mass was indeed held at Butúan and not Limasawa? Or will this prompt the NHCP to organize another investigation? WHEREAS, a week of observance is not enough to undertake various activities given the richness and diversity of our nation’s history. Proclamation No. 1304 (s. 1974) is hereby repealed. DONE, in the City of Manila, this 16th day of February, in the year of Our Lord, Two Thousand and Twelve. Ya que hoy conmemoramos el cumpleaños de Apolinario Mabini, uno de nuestros patriotas batangueños, lo considero apropiado y oportuno volver a publicar esta biografía suya en español que apareció por primera vez en el libro de texto Biographies of Filipino Heroes (Textbook for Spanish 4 N) por Josefina O. Ignacio que solía ser profesora de español en el Philippine College of Commerce, ahora conocido como el Polytechnic University of the Philippines (casualmente, la casa donde Mabini murió se conserva dentro de su campus en Santa Mesa.). El dicho libro de texto fue publicado y distribuido por Webster School & Office Supplies en Manila en 1976. Ya no está en uso en ninguna escuela hoy, así que pensé en rescatarlo de olvido, empezando con el cumpleaños de Mabini. Apolinario Mabini era un abogado, filósofo, estadista, literato, gran patriota, y consejero de Emilio Aguinaldo. Fue conocido en la historia con los sobrenombres de “El Sublime Paralítico y El Cerebro de la Revolución”. Nació en Talaga, Batangas el 23 de julio de 1864. Fue el segundo de los ocho hijos varones, de Inocencio Mabini y Dionisia Maranan; fueron honrados labradores. Él aprendió de su madre el alfabeto, el rosario, y el rezo. Su madre quería que el quedase un sacerdote. De su abuelo materno aprendió la gramática y la aritmética. Más tarde tuvo por maestro a Simplicio Avelino de Tanauan. Luego pasó a estudiar bajo, la tutela de P. Valeriano Malabanan hasta estar preparado para su ingreso en una universidad. Vino a Manila en el año 1881 en el Colegio de Latinidad de Don Melchor Virrey donde halló empleo y tiempo para continuar en el Colegio de San Juan de Letrán, el cuarto año de Latín. Sobrevino una epidemia de cólera en Manila que obligó el cierre de colegios en 1882. Mabini trasladó a Bauán donde obtuvo colocación como profesor. Mabini estuvo dedicado a la enseñanza. Después de algunos tiempos, Mabini volvió a Manila e ingresó otra vez en el Colegio de San Juan de Letrán donde obtuvo el título de Bachiller en Artes y Profesor de Latín. Trabajó por algunos tiempos en Manila y más tarde con el dinero que ahorró logró ingresar en la Universidad de Santo Tomás para terminar la carrera de derecho. Mabini era un hombre reflexivo y tenía una memoria previlegiada. Solía ir descalzo al colegio debido a la pobreza. En sus estudios se distinguía y era envidiado por su memoria. En el año 1892 empezó su vida política cuando fue ayudado por Numeriano Adriano. Mabini quedó miembro de la Liga Filipina y los otros héroes como secretario del consejo Supremo del Katipunan. A la edad de 30 años, Mabini sufrió una parálisis incurable que no fue para él un obstáculo en su carrera. La prodigiosa inteligencia de Mabini reveló cuando estalló la guerra entre España y los Estados Unidos, y los revolucionarios filipinos recibieron a los norteamericanos en Manila, y a ruegos de Aguinaldo, Mabini quedó el secretario de relaciones exteriores. Una indignación general produjo entre los filipinos, cuando anunció la proclama del General Elwell Otis que Estados Unidos habían declarado la soberanía sobre Filipinas. Aguinaldo fue presidente cuando se proclamó la república el 23 de enero, y Mabini fue nombrado primer ministro encargado al mismo tiempo de la secretaria de asuntos exteriores. No llevó a cabo las negociaciones del armisticio Mabini, dimitió y fue relevado en el cargo por Don Pedro Paterno. Mabini considerado como el cerebro propulsor del movimiento revolucionario, tuvo que trasladrarse en hamaca huyendo de sus perseguidores. Por fin, fue detenido en Cuyapó, Nueva Écija el 10 de diciembre de 1899 conducido a Bayambang, Pangasinán y más tarde fue traído a Manila por los norteamericanos. Fue prisionero de la calle Anda y puesto en libertad el 3 de noviembre de 1900, y vivió en una casa en la calle Nagtahan que hoy día se conserva como santuario y monumento nacional. Fue detenido el 6 de enero de 1901 y deportado a Guam debido a un artículo que él escribió. Más tarde decidió aprovecharse de la amnestía proclamada por el Presidente Theodore Roosevelt el 4 de julio de 1902. Mabini volvió a Filipinas el 26 de febrero de 1903. Mabini cuando se retiró el pueblo de Rosales, Pangasinán no dejó los asuntos de la nación. Escribió artículos para el órgano de la revolución “La Independencia”. Como literato, escribió el “Programa Constitucional de Filipinas” su famoso “Verdadero Decálogo”, “Memorias de la Revolución Filipina”, y las proclamas del General Aguinaldo. Mabini falleció de cólera el 13 de mayo de 1903 después de su regreso a Guam a la edad de 39 años. Hace unos pocos años, mi famosa comadre Gemma Cruz de Araneta, una admiradora de Mabini, regaló a mis hijos un libro titulado Mga Rebolusyonaryong Dekalogo (décalogos revolucionarios) que contiene el famoso El Verdadero Decálogo de Mabini. Este decálogo fue, por supuesto, originalmente escrito en español. Se debe notar que cuando Mabini escribió su decálogo en 1898, tuvo el motivo de arrear los rebeldes filipinos que estuvieron luchando contra el gobierno español (y también estuvieron a punto de prepararse frente a un enemigo mucho más fuerte: los WASP usenses). Una gran parte del contenido de su decálogo es todo sobre el patriotismo, el amor a la patria, el amor de Dios. Pero el tema general es para exaltar el espíritu patriótico de los filipinos. El amor de Mabini a nuestro país es ejemplar y digno de compartir. Pero uno tiene que tener cuidado con su tipo de patriotismo, porque Mabini ya era un Francmasón cuando escribió este decálogo, es por eso que no es ninguna sorpresa que hay vestigios de deísmo en su texto (el segundo principio es lo mejor ejemplo). Por lo tanto, los cristianos que están leyendo este decálogo tienen que tener precaución en lo que está escrito. La grandeza de Mabini en la historia no significa que todo lo que escribía era perfecto. PRIMERO. Ama a Dios y a tu honor sobre todas las cosas: a Dios, como fuente de toda verdad, de toda justicia y de toda actividad; el honor, único poder que te obligará a ser veraz, justo y trabajador. SEGUNDO. Adora a Dios en la forma que tu conciencia estime más recta y digna, porque en tu conciencia; que reprueba tus actos malos y aplaude los buenos, habla tu Dios. TERCERO. Cultiva las aptitudes especiales que Dios te ha dado, trabajando y estudiando en la medida de tus fuerzas, sin separarte jamás del camino del bien y de la justicia, para procurar tu propia perfección y por este medio contribuir al progreso de la humanidad: así realizarás la misión que el mismo Dios te ha señalado en esta vida, y realizándola tendrás honor, y teniéndola glorificarás a tu Dios. CUARTO. Ama a tu Patria después de Dios y de tu honor y més que a ti mismo, pues ella es el único paraíso que Dios te ha dado en esta vida; el único patrimonio de tu raza, la única herencia de tus antepasados; y el único porvenir de tu descendencia: por ella tienes vida, amor e intereses; felicidad, honor y Dios. QUINTO. Procura la felicidad de tu Patria antes que la tuya propia, haciendo de ella el reinado de la razón, de la justicia y del trabajo; pues si ella es feliz, felices también habéis de ser tu y tu familia. SEXTO. Procura la independencia de tu Patria, porque tú sólo puedes tener verdadero interés por su engrandecimiento y dignificación, como que su independencia constituye tu propia libertad; su engrandecimiento, tu perfección, y su dignificación, tu propia gloria e inmortalidad. SÉPTIMO. No reconozcas en tu Patria la autoridad de ninguna persona que no haya sido elegida por ti y por tus compatriotas, porque toda autoridad emana de Dios, y como Dios habla en la conciencia de cada individuo, la persona que designen y proclamen las conciencias individuales de todo un pueblo, es la única que puede ostentar la verdadera autoridad. OCTAVO. Procura para tu pueblo la República y jamás la Monarquía: ésta ennoblece una o varias familias y funda una dinastía; aquella constituye un pueblo noble y digno por la razón, grande por la libertad y próspero y brillante por el trabajo. NOVENO. Ama a tu prójimo como a ti mismo, porque, Dios le ha impuesto a él, como tarnbién a ti la obligación de ayudarte y no hacerte lo que él no quiere que tú le hagas; pero si tu prójimo, faltando a ese sagrado deber, atenta contra tu vida, tu libertad y tus intereses, entonces debes destruirle y aniquilarle, porque prevalecerá la suprema ley de la propia conservación. DÉCIMO. Mirarás siempre a tu compatriota algo más que a tu prójimo: verás en él al amigo, al hermano y cuando menos al cornpañero con quien estás ligado por una sola suerte, por las mismas alegrías y tristezas, y por iguales aspiraciones e intereses. Por eso, mientras subsisten las fronteras de las naciones levantadas y conservadas por el egoísmo de raza y de familia, a él sólo debes unirte en una perfecta solidaridad de miras e intereses, al objeto de tener fuerza, no sólo para combatir al. enemigo común, sino también para realizar todos los fines de la vida humana.